Making ahead breakfast is one way we combat being busy as well as me having Fibromyalgia. On a good day we try to put away different food that are easy to prepare on our busy and my bad days which seem to be more often again. I want to make sure the kids have good food and one way to do this is by putting breakfast sandwiches together that my children can just heat up quickly and go on their way to school. These make perfect round eggs for english muffin sandwiches. You can even scramble your eggs, adding in onions, peppers, or cheese, Yummy. So versatile. These Silicon Ring molds work so much better then my old metal egg molds. The metal kind has dings, dents, and really do not resemble a circle at all anymore. These are great for eggs, pancakes, hash browns, etc. Even though they don't call of it I always mist mine just on precaution. So far all of our eggs have come out well. These rings also clean up quickly and hot soapy water, no more scrubbing which I am very thankful. You find these Ring Molds on Amazon. This 4 pack of non-stick silicone egg and pancake rings by Cornucopia Brands are perfect for creating round English muffin sized eggs. 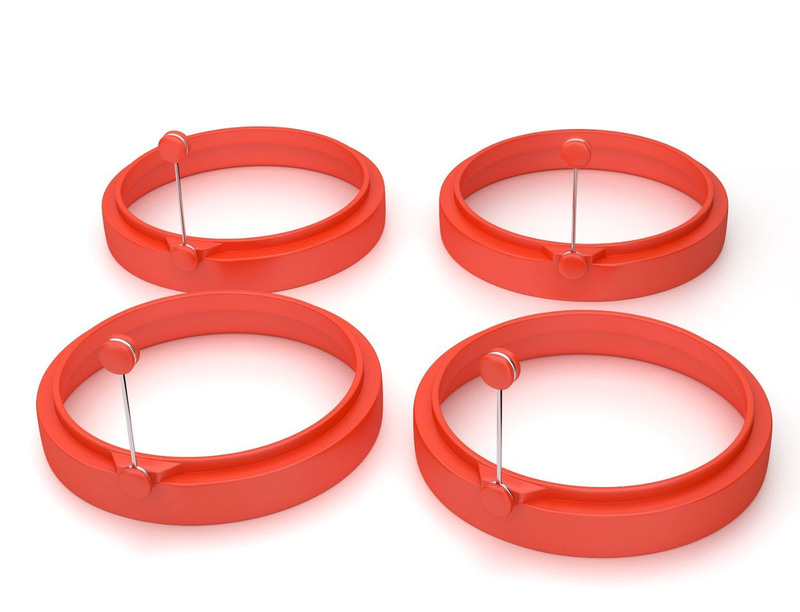 These rings allow you to become hero of the kitchen when you start making your family their favorite fast food muffin sandwiches at home. Unlike metal rings, non-stick silicone allows for easy cooking, cleaning, and flipping. No need to take time to clean it between each single egg. The 4" diameter allows for enough cooking surface contact for even heat throughout the entire egg ring, allowing whatever you are cooking inside the ring to come out perfectly cooked, and done throughout.